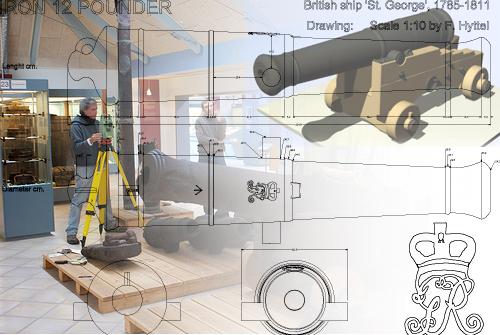 You can download his model of an iron 12 pounder lifted from the wreck of HMS St George below. 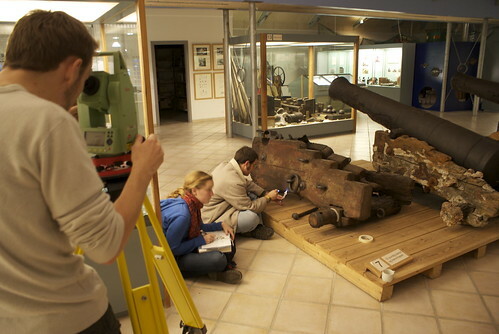 Frederik’s model is based on the total station survey of a gun and carriage on display in the Strandingsmuseum Thorsminde. To view the Rhino 3D file, you need a copy of Rhinoceros3D. A fully functional evaluation version can be downloaded here. The Sketchup file can be viewed and modified with the free 3D modelling software Google Sketchup.